This project involved competing in the electric vehicle Grand Prix (evGP) in order to achieve two main goals. The first was to build links to Purdue University and the second to gain an insight into the future of electric vehicles in motorsport. The trip was a sucess in all aspects. Two electric karts were build - one due to the Warwick team and the other by the joint Warwick/ Motorsports at Purdue Team. Despite being built in a comparatively small timescale both Karts performed well and the University of Warwick Kart finished the Indianapolis Motorspeedway Race in 4th place out of a total of 28 Karts. The event showed the viability of electric power trains in Motorsport. Other tangible benefits of the trip included discussions about overseas exchanges, possible joint collaboration, such as course content exchange. 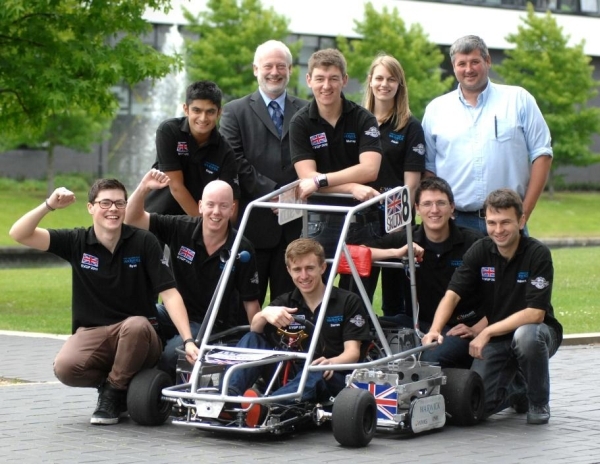 There will now be a team of fourth year engineers researching the electric go-kart with a view to competing next year with an improved design.